A slim and modern design is always the main criterion for consumers while buying a cellphone or mobile phone especially for youngsters. Most consumers prefer a fully functional, fully packed, stylish and yet slim mobile. Now the leading provider of mobile phones and telecom systems, Samsung Electronics Co. Ltd., has launched its Ultra Edition II series at the recent 3GSM conference in Barcelona after the successful launching of Samsung’s Ultra Edition range in July 2006. If you fancy the Samsung Ultra series phones, perhaps you can look into some new models that were introduced in the conference. The Samsung Ultra Edition II range consists of two stylish and functional sliders, the Ultra Edition 10.9 (U600) and the Ultra Edition 12.1 (U700); a metallic clamshell, the Ultra Edition 9.6 (U300); and a candy bar handset, the Ultra Edition 5.9 (U100). These phones have 3-megapixel cameras, high-speed Internet connectivity, and extensive multimedia and audio capabilities. 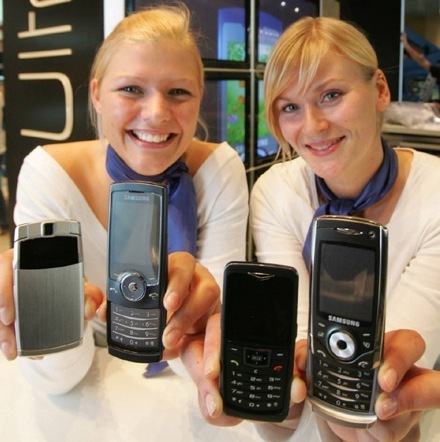 The designs of these phones have incorporated the consumers’ needs and lifestyles. This Ultra Edition II series is slimmer, stronger and more elegantly designed compared to the Ultra Edition I. In this series, Samsung also ensures optimum performance by increasing the talk time, adding power saving features and utilizing better battery capacity. You can read more about the specification, features, special designs, performance, capabilities, etc. from Samsung’s press release. To top it off, Samsung also announced an Ultra Special Edition handphone which features a 5-megapixel camera and HSDPA (High-Speed Downlink Packet Access) connectivity for faster downloads.